Software artist Casey Reas, eight emerging VJs from UCLA’s Design Media Arts Program, and musician/composer Daedelus presented a live demonstration of audio-visual software at Sonos Studio Los Angeles. 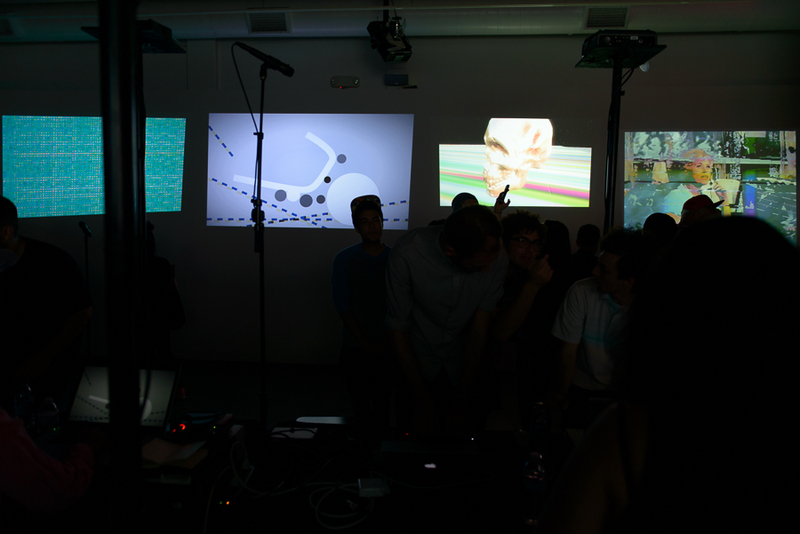 The event began with each artist explaining how his or her software of choice —such as VVVV, Processing, and OpenFrameworks — is used to generate multi-dimensional visuals. They then choreographed their visuals to a DJ set by Daedelus. Audience members were free to roam around the multiple audio-visual equipment set-ups for an intimate experience of art making in realtime. The evening concluded with a post-performance Q&A session. The young VJs spoke about the beauty of human interaction while working in their respective mediums. Daedelus remarked, "I could feel the energy of the artists and enjoyed watching their reactions to the room." Many people in the crowd talked about this program being one of the more interesting and engaging events that they had ever been to at Sonos Studio. Images by David Morrison, courtesy of Sonos.